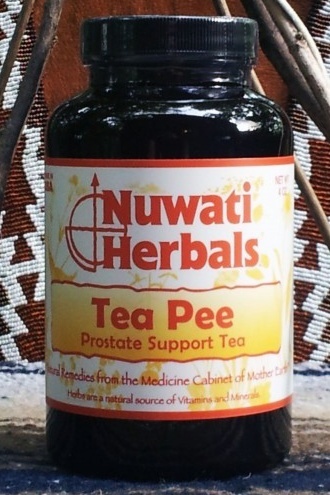 The herbs in Tea Pee have been traditionally used to support healthy bladder functions. We suggest drinking one cup in the morning and another before going to bed. 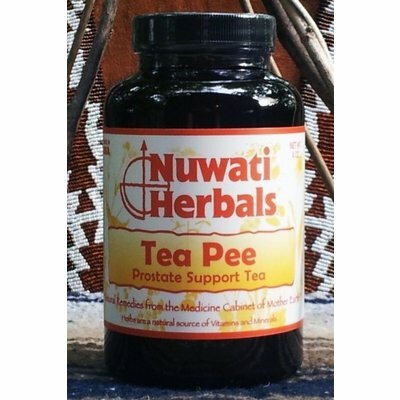 Ingredients: Alfalfa Leaf, Horsetail Leaf, Oatstraw Leaf, Pau d’Arco Bark, Pumpkin Seed, Cornsilk, Dog Grass, Ginkgo Leaf, Hydrangea Root, Maca Maca Root, Muira Puama Root, Pygeum Bark, Parsley Flakes, Red Clover Blossoms, Saw Palmetto Berries, Tomato Flakes, Uva Ursi Leaf, Dandelion Root, Gravel Root, Juniper Berries, Kava Kava Root, Kelp Granules, Red Root (root), Suma Root, Turmeric Root, Yohimbe Bark. Caution: It is important to exercise regularly, maintain a healthy diet and consult a physician if you are experiencing prostate or bladder symptoms. Consult your health care professional prior to use if you are pregnant, nursing, take any medication or have a medical condition. Jar size is 4 ounce of herbal blend, which yields approximately 40 cups.